Today, I am going to cover hot topic of the market Angular 2. Just a few days ago Angular 2 was released and everyone very excited to know about Angular - 2 then compare to AngularJs. 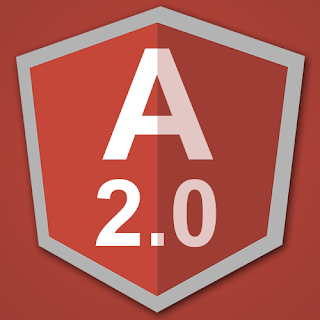 AngularJs is supporting ECMA - 5 so there is the main difference between AngularJs and Angular 2. As we know in AngularJs by default support two-way binding so we can say AngularJs added $watch on each control which is use ng-model. So there are the performance issues of AngularJs, Angular 2 has overcome those issues so that provides more binding types so you can choose based on your requirement where you want which type of binding. In Angular 2, we can still use the curly braces, but we can omit controller name or vm, because we already have the context. so here we can use directly object or variable name. In Angular 2 we can use square brackets around the property we want to bind to. This may look a bit strange at first, but it definitely is valid HTML. We actually can take any HTML property, like innerText, wrap it in square braces and you can then bind it to a model. The most used use case of two-way binding in AngularJs is using it on any field or any other form elements. When we type something in the textbox on one side, the value goes to the controller and then back and forth. In Angular 2 we also have a special directive called ngModel. But here some syntax is changed from AngularJs. We use the square brackets because it's a property, but we also use the parenthesis. This syntax is called Banana in a Box ([()]). What this means is when you see this syntax, it's two-way binding at work. You can do event binding with any valid HTML event available, like click, focus or blur. In AngularJs you should need built-in directives to use event binding. In Angular 2, we can just take the same property that is on the HTML element (click in the previous example) and wrap it in parenthesis. Note: Angular 2 has dropped tons of directives (like ng-click, ng-blur, ng-focus, etc) and also dropped the convention of splitting words with dashes and use camel case instead (ng-repeat vs ngFor, ng-if vs ngIf etc). Hope you like this article and Happy coding!!. 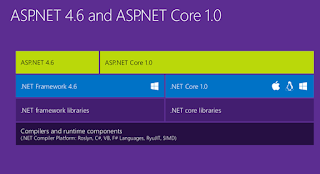 In Core introduced new library for Http request and response. Require the following namespace to add. Once, you added namespace then just need to add following a line of code for capture the Remote Client IP Address. Once more thing I want to explain about null handle in Core using "?". So you can see in the above line how to handle the null object. Note: When you try to run the application from the local system so above line of code return the result "::1" but it will work once you deploy your application somewhere. Hope you getting the desired result and save your time.